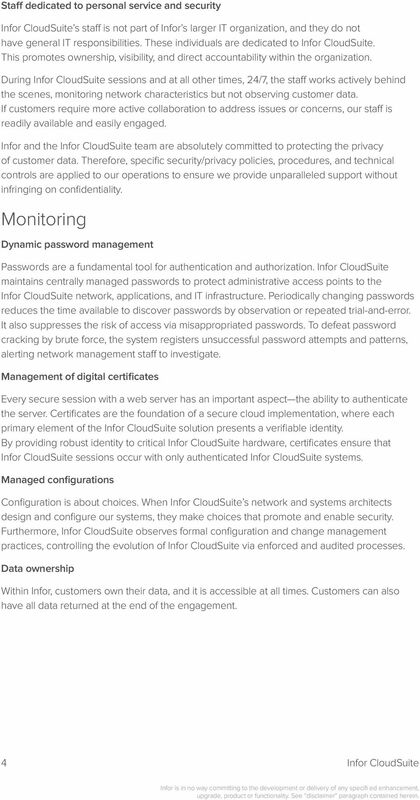 Download "Infor CloudSuite. Defense-in-depth. Table of Contents. 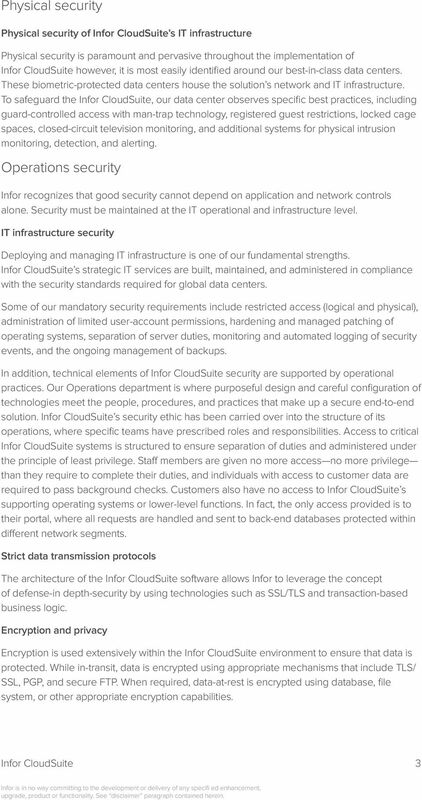 Technical Paper Plain talk about Infor CloudSuite security"
Seven Things To Consider When Evaluating Privileged Account Security Solutions Contents Introduction 1 Seven questions to ask every privileged account security provider 4 1. 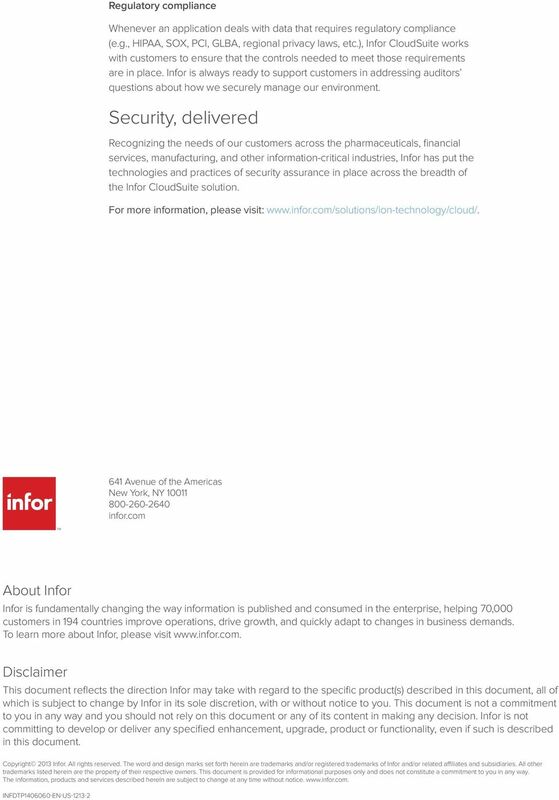 Is the solution really secure? 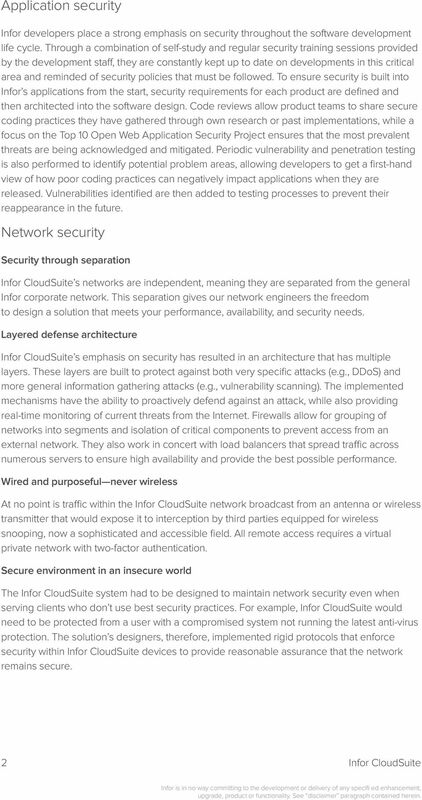 Security solutions White paper. 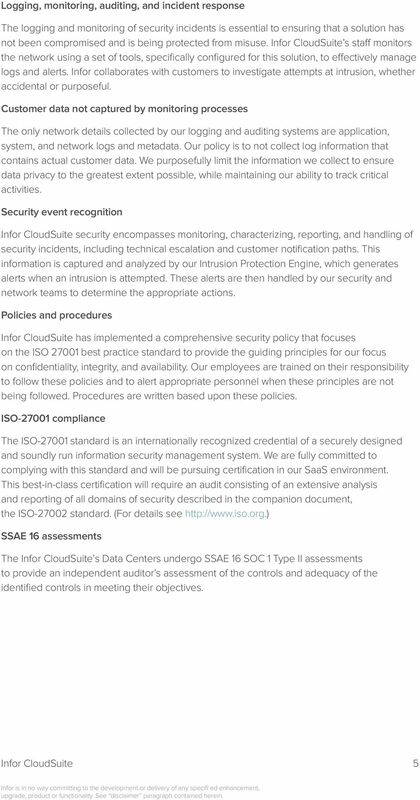 Acquire a global view of your organization s security state: the importance of security assessments. 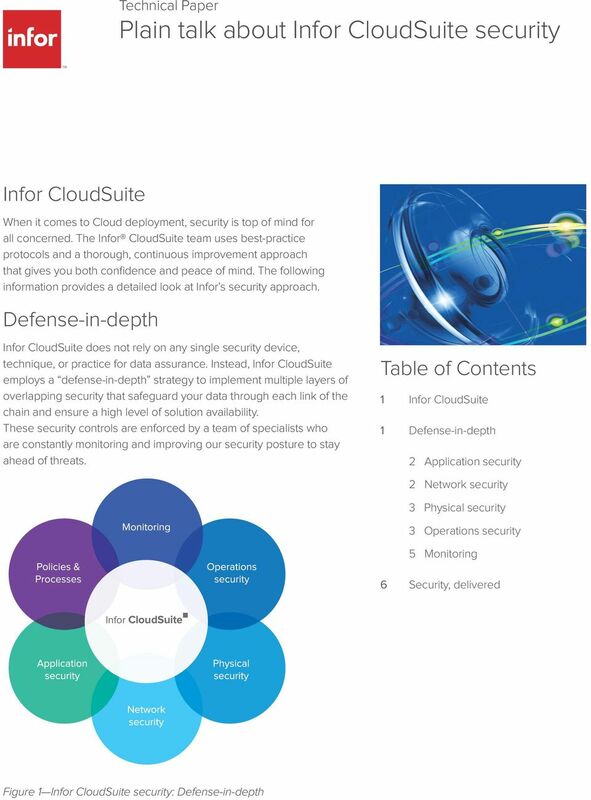 Security solutions White paper Acquire a global view of your organization s security state: the importance of security assessments. April 2007 2 Contents 2 Overview 3 Why conduct security assessments?